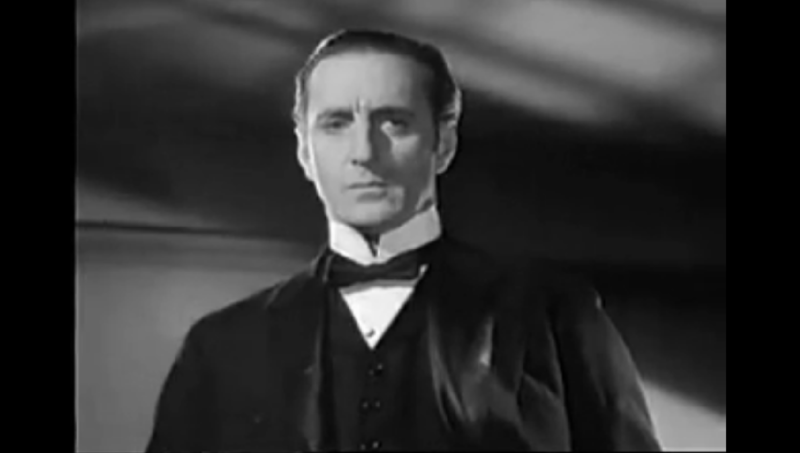 The arch-enemy (George Zucco) of Sherlock Holmes (Basil Rathbone) plots to steal the Crown Jewels, hoping to distract Holmes and his assistant, Dr. Watson (Nigel Bruce), by enticing them with a case involving a distressed heiress (Ida Lupino). 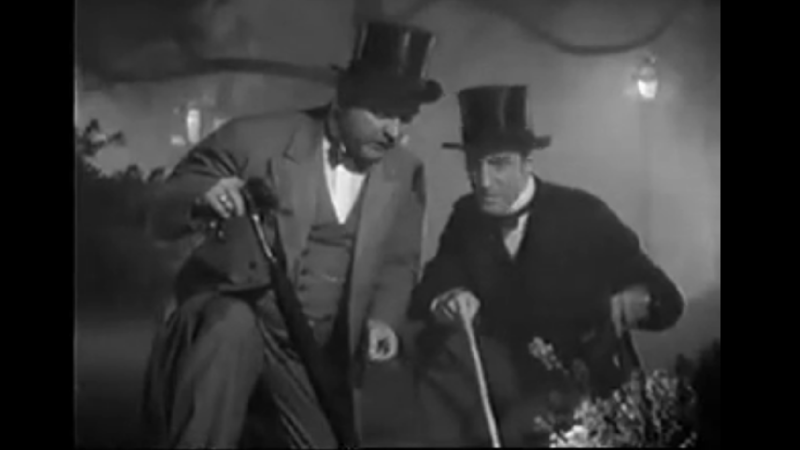 The second of two Sherlock Holmes films made with Basil Rathbone and Nigel Bruce for Fox Studios (and the last to feature them in an “authentically” Victorian-era setting), this finely mounted whodunit was, like the 1932 film Sherlock Holmes, based (albeit loosely) on a stage play by William Gillette rather than an original story by Doyle. 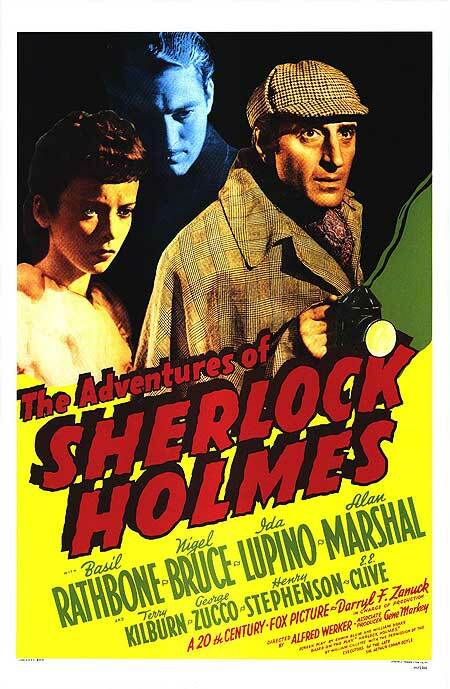 It’s an enjoyable, atmospheric outing, made all the more interesting by the introduction of Holmes’ sociopathic “arch-enemy”, Moriarty (Zucco), who — recognizing Holmes’ desire to alleviate boredom above all else — plays fast and furious with people’s lives by perpetuating a serial murder scheme simply to keep Holmes distracted. It’s a remarkably dastardly thematic element, and definitely adds an intriguing twist to the entire affair. Note: If you’re at all a Holmes fan, be sure to compare this film with the sixth entry in the modern British mini-series Sherlock, which features a somewhat similar storyline about Moriarty and Holmes’ ongoing “rivalry”. No, but it’s certainly recommended as a most enjoyable Sherlockian yarn. Rather in agreement with what’s already stated. However, based on my impression from a number of other Holmes stories, this one seems decidedly low-key. The production all-round is competent enough and the film serves to divert. Nice London atmosphere throughout (love that dry ice!). Lupino is a welcome addition here – always a strong female presence, even if she’s called on this time to be more on the submissive side. The most impressive element here is the film’s climax – cleverly staged and shot. This isn’t exactly edge-of-the-seat suspense, but it holds attention.